All I have is a voice / To undo the folded lie. For a new anthology, Sixteen Rivers Press is seeking unpublished poems that respond to the cultural, moral, and political rifts that now divide our country: poems of resistance and resilience, witness and vision,that embody what it means to be a citizen in a time when our democracy is threatened. Poets are encouraged to interpret this call broadly. We welcome voices raised in passion and in praise, whether lyrical, philosophical, visionary, or personal. Because we hope to create a wide-ranging conversation among the poems, this anthology will combine submitted contemporary work with previously published poems from other periods of unrest and upheaval. Submission period: February 15–April 15, 2017. Submit 1 to 3 unpublished poems, totaling no more than 3 pages, either online by Submittable or by regular mail. We expect to complete our selection by September 30, 2017; our scheduled publishing date is June 2018. Payment for publication will be two copies of the anthology. Note: This book will be nationally advertised and similar in scope and design to our first anthology, The Place That Inhabits Us, now in its fourth printing. 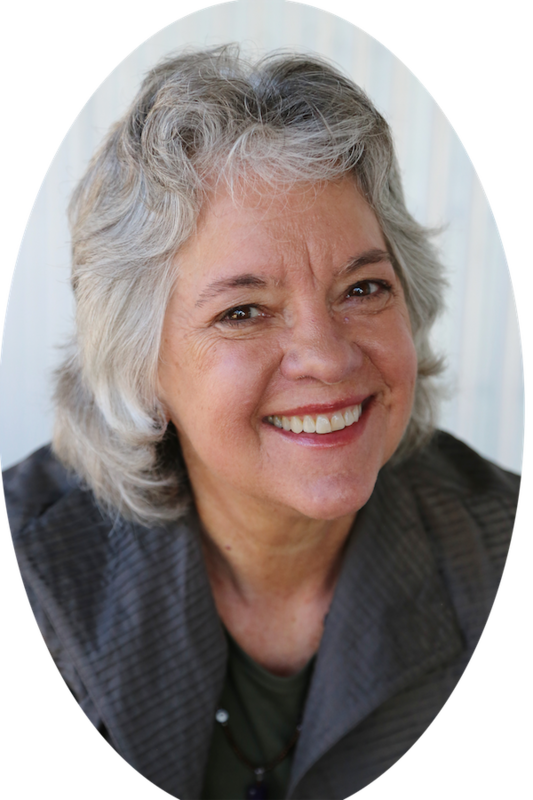 Writers Forum founder Marlene Cullen is thrilled to announce that Writers Forum will now be free at their new location: Copperfield’s Books, 140 Kentucky St. Petaluma. Writers Forum meets the third Thursday of the month, March through October, 6:30 pm to 8:30 pm. The Forum is a unique opportunity for participants to share ideas and explore the many facets of writing. Workshops are led by a variety of speakers presenting information about the craft and the business of writing. Note: The March 16 Forum will meet from 6:00 pm to 8:00 pm. Representatives will provide information about writing conferences in the North Bay. Presenters include Mendocino Coast Writers’ Conference, Napa Valley Writers’ Conference, Redwood Branch of The California Writers Club Conference, Society of Children’s Book Writers and Illustrators (SCBWI) for San Francisco North and East Bay Region Oktoberfest Fall Conference, Sonoma County Writers Camp, Writing by Writers. No rsvp nor sign-ups ahead of time. Bring a notebook and a pen. 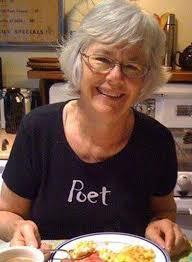 Marlene Cullen used to help Susan Bono with Writers Sampler in Sebastopol. She often thought it would be wonderful to have the same program in Petaluma. She kept waiting for someone else to start it. When no one did, she thought, “I could do that.” So she did! Presenters for 2017: Elizabeth Stark on Building a Writing Practice, Skye Blaine on Memoir, Eric Elfman, Alford Pursell on Flash Fiction,Teri Sloat on The Evolution of a Story, Cameron & Co. Cameron Kids on Children’s Publishing. You might say that women have been writing Science Fiction since 1818, the year Mary Shelley published her novel, Frankenstein. 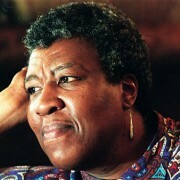 Certainly their numbers have been increasing in recent decades and this Spring we’ve invited Kim Hester-Williams and Terry Ehret to hold salons on two of their favorite contemporary authors, Octavia Butler and Ursula K. Le Guin. Please join us to learn more and bring your own favorites to share. On February 13, 2017, at the lovely Glaser Center in Santa Rosa, we held the 11th annual Sonoma County Poetry Out Loud competition. POL is a nationwide poetry recitation program for high school students. It starts first at the classroom level, when a teacher assigns the memorization of a poem from the online anthology. Then school-wide, county-wide and state-wide contests take place. Winners eventually progress to the Nationals and compete with other champions from all 50 states, Washington D.C., Puerto Rico and the Virgin Islands. This year we had eleven schools competing locally. Four judges have the very difficult task of evaluating performances based on physical presence, voice and articulation, appropriateness of dramatization and evidence of understanding. A fifth judge monitors accuracy. Our panel of distinguished judges was: Armando Garcia Davila, Terry Ehret, Penelope La Montagne, Larry Robinson and Lisa Shulman, with Ed Coletti acting as emcee. 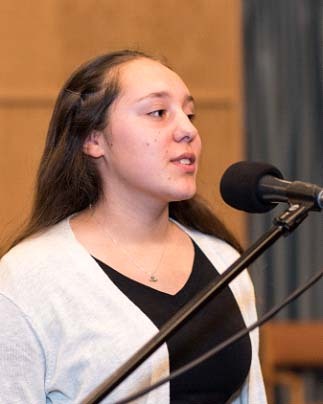 Our 2017 winner is Seryna Bonacorso of El Molino High School who recited “Thirteen Ways of Looking at a Blackbird” by Wallace Stevens, and “Albatross” by Kate Bass. Second place winner was Cristina Avelar of Maria Carrillo High School with “Zacuanpapalotls” by Brenda Cárdenas, and “I Felt a Funeral in my Brain” by Emily Dickinson. In third place was Shea Dorrell of Piner High School with “Hysteria” by Dionisio Martinez and “Eros Turannos” by Edwin Arlington Robinson. The statewide competition will take place in Sacramento on March 12 and 13, where Seryna will be representing Sonoma County. The Nationals will occur between April 24th and 26th in Washington D.C.
Phyllis Meshulam is the author of Doll, Moon and editor of Poetry Crossing: 50 Lesson Plans for 50 Years of California Poets in the Schools. 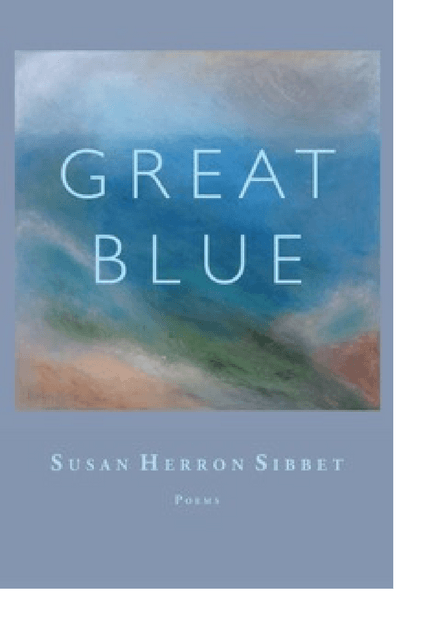 Some of you may have known Susan Sibbet, a poet and teacher who was passionate about writing as food for the soul, and who brought her gifts to California Poets in the Schools for many years until her death three years ago. She also was one of the founders of Sixteen Rivers Press. I’m honored to be part of a tribute to Susan, hosted by Poetry Flash, at DIESEL, A Bookstore in Oakland. The date is Sunday, March 5th at 3 p.m. I will be joined by Steve Gilmartin, Nina Lindsay, Carolyn Miller, and LeeAnn Pickrell. One of the poems Seryna Bonacorso recited at the Poetry Out Loud Competition last month was “The Albatross,” by Kate Bass. The poem was deeply moving and skillfully delivered by Seryna. I had not previously heard of Kate Bass, so I checked out her bio on the Poets.Org website: British poet Kate Bass was born in north London. She studied chemistry at Edinburgh University and worked for the Patent Agency in London before studying illustration at Anglia Polytechnic University. She lives in Cambridge, England, with her family and works as an illustrator. — Kate Bass, “The Albatross” from The Pasta Maker. Copyright © 2003 by Kate Bass.